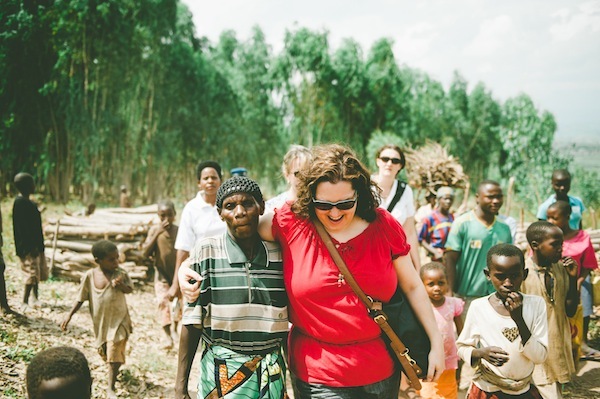 Two weeks ago I was in transit from Burundi (East Africa) to the United States. The news flashing across multiple media outlets – CNN, Al Jazeera, BBC, the New York Times – highlighted the Israeli incursion into Gaza, the advancing of ISIS in Iraq, the confusion around the downed Malaysian airline in Ukraine and the Ebola outbreak in West Africa. I boarded my plane aware of other passengers, hoping none were travelers from West Africa. I reminded my daughter to keep her hands to herself, the transmission of Ebola on my mind. As I watched the interactive map in flight, I prayed about the outbreak of violence in Libya and Gaza while we split the difference and flew through Egyptian airspace. I moved through the skies with awareness we dodged war zones on our way home after our Burundian summer. I’d only be home for a set of days before I’d be reminded of the systemic injustice and racism that still resides in my homeland.